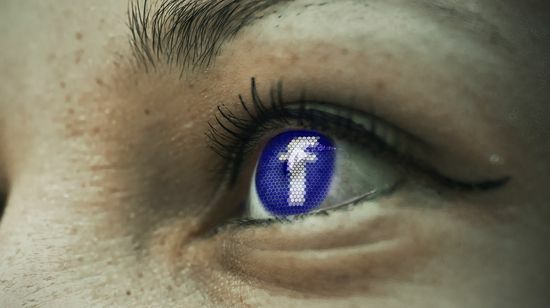 Facebook is more than just the only social networking site that your parents know how to use, it’s also a tech giant with the clout to set industry standards for hiring trends. A recent company update revealed that only 17 percent of global employees in tech positions and 27 percent of its senior leadership are women. Hispanics and Blacks account for just 4 percent of its U.S. tech jobs at the social network, and 6 percent of senior leadership. But Facebook says it wants to do better. And like many tech companies worried about diversity, it has a keen eye on strengthening the pipeline of young talent coming into the fields of IT and computer science. That's the context for a five-year, $15 million grant by Facebook to Code.org. Brothers Hadi and Ali Partovi founded Code.org with the goal of expanding access to computer science learning, especially among traditionally underrepresented groups in tech such as women and minorities. The organization launched three years ago with support from heavy hitters including Microsoft’s Bill Gates, Facebook’s Mark Zuckerberg, and Twitter’s Jack Dorsey, as well as President Bill Clinton and Vice President Al Gore. As we wrote at the time, the Partovi brothers aimed to make computer science as pervasive in American schools as math and life sciences. When Code.org started in 2013, most states did not allow computer science to count toward high school graduation. Three years later, 28 states now recognize computer science classes as satisfying graduation requirements in math, science, or both—including California, home of Silicon Valley and the burgeoning Silicon Beach in West Los Angeles. In addition to promoting policy change, the Partovis have made online courses available to girls, minorities and low-income students. According to the nonprofit’s website, getting computer science education into public schools in Arkansas led to a 300 percent increase in female participation, and a 600 percent jump in African American female enrollment. Those numbers are nothing to sneeze at, and it seems that Facebook is paying attention. We’ve covered a lot of recent grants focused on STEM initiatives, but computer science is especially important for kids growing up in a world dependent on computers. Being able to code is no longer a hobby for nerds—it’s a crucial skill for people entering the workforce. Tech companies, meanwhile, are deeply concerned about ensuring that they have the human capital they need in coming decades. That’s why Oracle has committed $200 million in this area over the next year and a half, and why Microsoft is dedicated to its YouthSpark program on a global scale. Making computer science education available to underprivileged students is essential to creating economic opportunities for those children in the future, a principle that drives the work of Code.org.